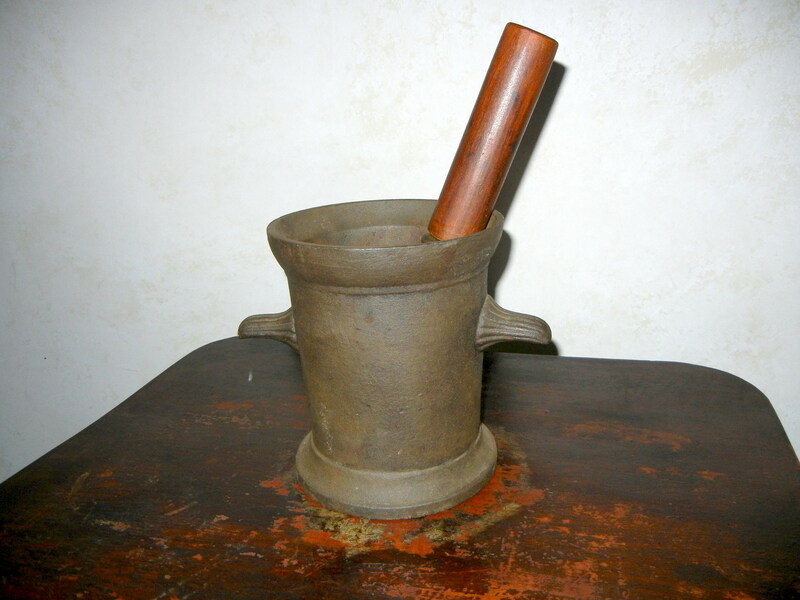 Cast iron mortar & pestle with wooden handle. Found in Waterloo Cty. ; mid-19th Cent. 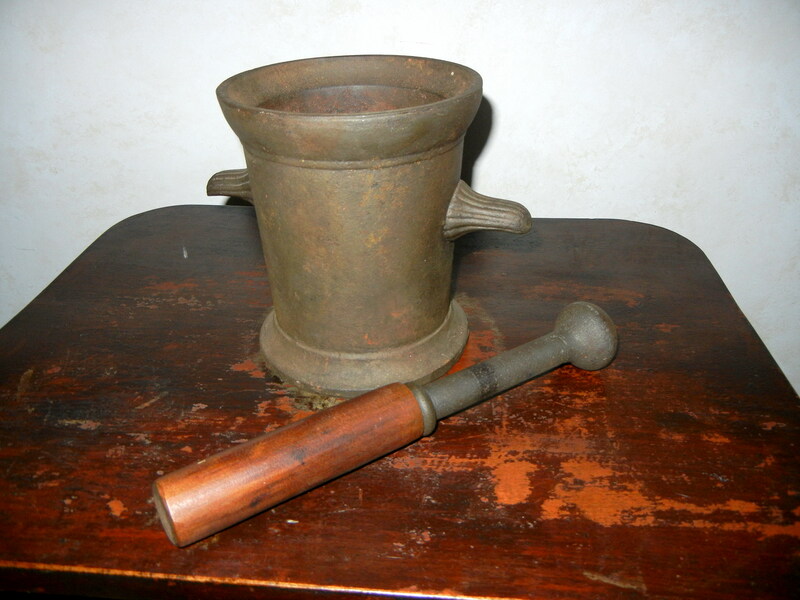 Excellent condition - no chips or cracks. ex-Rod Brook Coll.